At Holy Cross, I teach on a Yamaha P60 digital keyboard with 88 weighted, touch-sensitive keys plus damper pedal and 10 alternate sounds (like organ and harpsichord). The Classical Academy has a Casio Privia with full keyboard plus sustain pedal. The Franklin Recreation Complex has a full-sized Technics SX-P30 keyboard, and there's an 88-key Yamaha DGX model at the Brentwood Indoor Sports Complex. 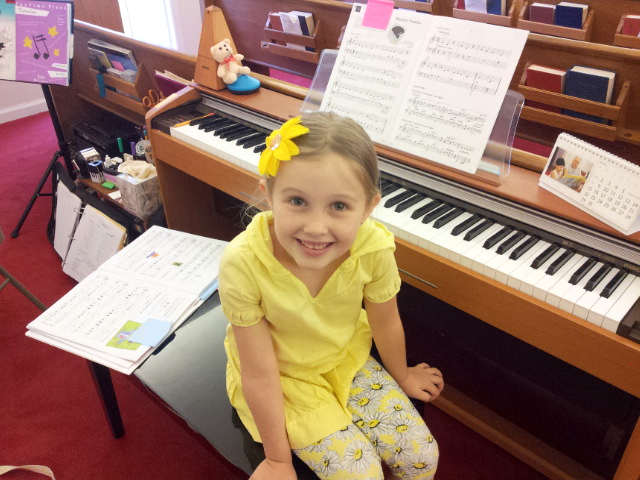 Everything we do in lessons can transfer directly to your acoustic piano at home.